Though I am not a female musician, identifying with this strip comes easily to me since I’m engaged to a big-violin-playing female. * Can you believe that THIS IS A CHARACTER IN A FIGHTING GAME!?!?! Check him out! * Lastly, final reminder of the week that the MUSICOMIC STORE HAS LAUNCHED! Bahahahahaha!! The bug-eyed, beer-bellied, wart-nosed music-store rep is spee-OTT on!! I typed and retyped that line a few times to sort out that issue… haha. I guess I should have kept trying! I’m vertically challenged (5 foot, fully grown) and I played Bari Sax in middle school and high school. I’m sure I looked awkward, wish I had photos. As a vertically-challenged tenor player myself, we do exist! There were always a few shorties like myself in my section of the Spartan Marching Band at Michigan State, though my own reason for playing tenor was that I had to switch from flute, and my older cousin gave me her sax. Short tenor players represent! Check out the link under the comic. 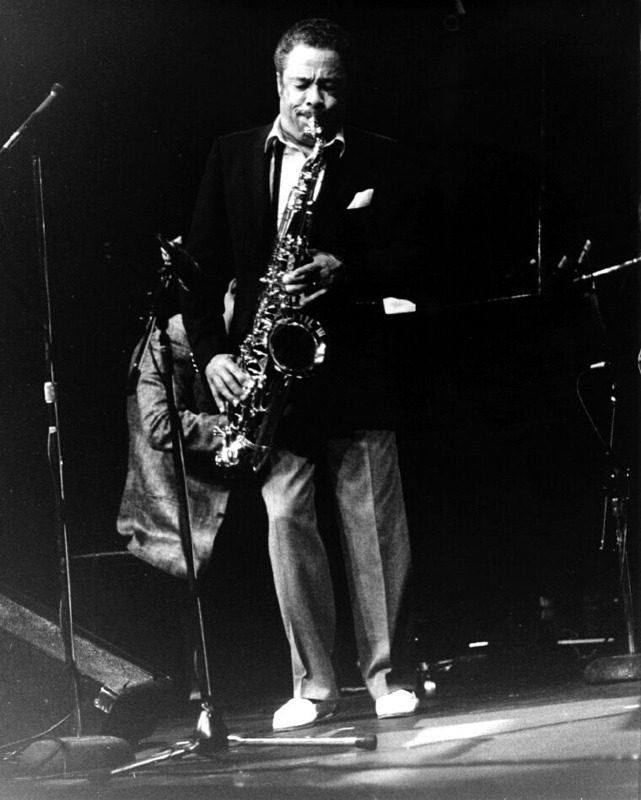 That’s Johnny Griffin aka “Little Giant”. He was one of the baddest tenor players ever and was only 5’5″. Glad to hear you made the switch from flute to THE SAX. I tried with the hyphens! I TRIIIED! My daughter sent me this. She is 5’4” and played tuba/euphonium in high school and college. She loved asking people to guess what instrument she played, flute or clarinet was always the guess. I guess we nailed it then! My daughter started on the trumpet, but in 8th grade the band director asked for volunteers to move to tuba because he was short tuba players. My daughter gladly stepped up and now plays the Sousaphone in the Marching Band and Concert Band in High School. She’s 5 foot nothing as well. She love the attention she gets though!